After you have registered to this site,sign in then to start missions. 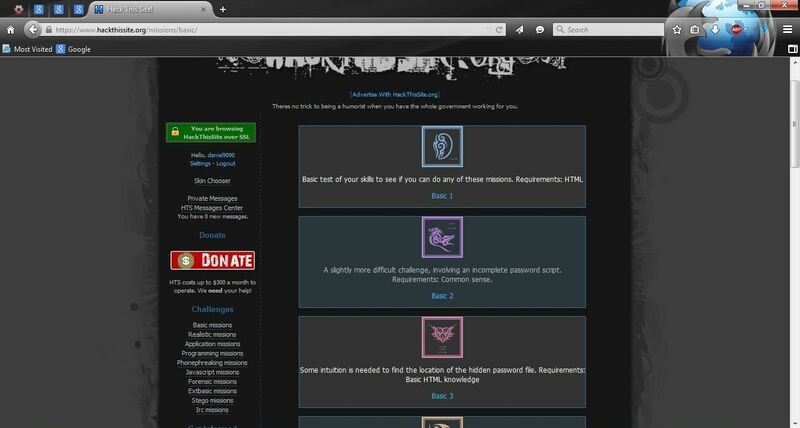 as you see in the pic in the challenges you can choose any missions but i start from basics. after you go to basic missions(it contains 11 missions) you will see this pic. here it says "This level is what we call "The Idiot Test", if you can't complete it, don't give up on learning all you can, but, don't go begging to someone else for the answer, that's one way to get you hated/made fun of. Enter the password and you can continue." 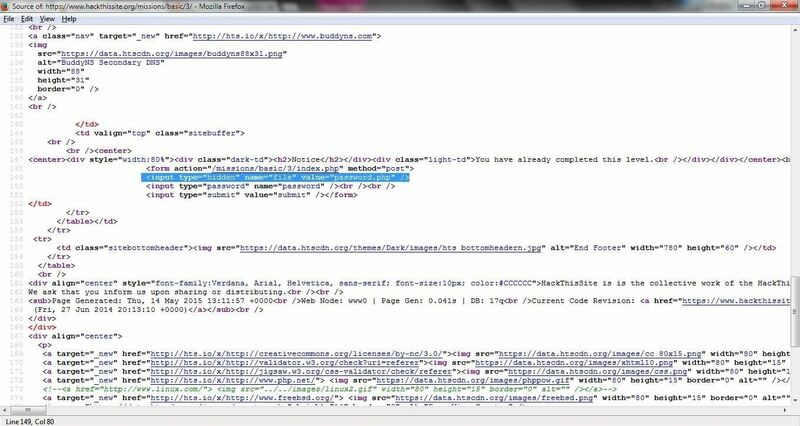 here you should go to the page source which it is HTML . then you will be directed to here. Since he forgot to upload the password file, the password the user enters is compared to a blank string "" so the password is blank. Just press the submit button. This time Network Security Sam remembered to upload the password file, but there were deeper problems than that. now you will say that how to find this what is it or what is the line meaning? for finding it just press Ctrl+F then search for the password there are some password but the 1st one is the password which it is upper of the input box. 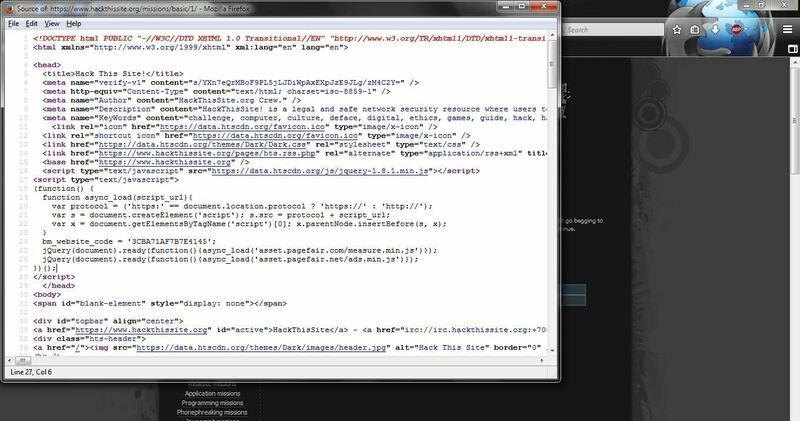 for understanding them if you know a bit HTML you can understand them. 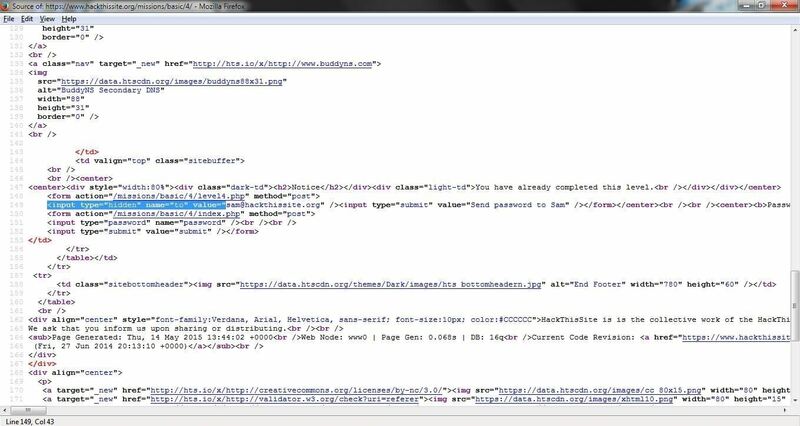 If you append 'password.php' to the URL "http://www.hackthissite.org/missions/basic/3/", you'll see the password in plain text. there is a password there. If you click the "Send password to Sam" button, you'll be taken to /level4.php and it'll say "Password reminder successfully sent." Using the Chrome , right click the "Send password to Sam" button and click "Inspect element". Chrome's element inspector box will pop up. If you double click "sam@hackthissite.org" in that box, you can edit the email address. If you change the email address to a blank string or invalid email, you'll get "Invalid email address, sorry!" message when you press the "Send password to Sam" button. If you change the email to any other valid email address, you'll be taken to /level4.php again but this time it'll show you the password in plain text. using Firefox is just like that. 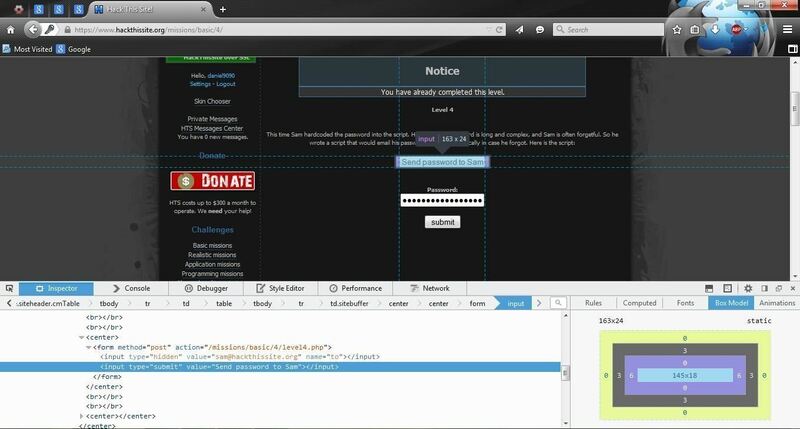 change the sam@hackthissite to your own mail then open your mail and enter that pass to the input box and go to the next level. if even enter a blank email address in this level says email sent successfully but in level 4 it wont say this so use the same technique in Level 4 to get the password. I am not going to tell it now and i want you to figure out about this level. 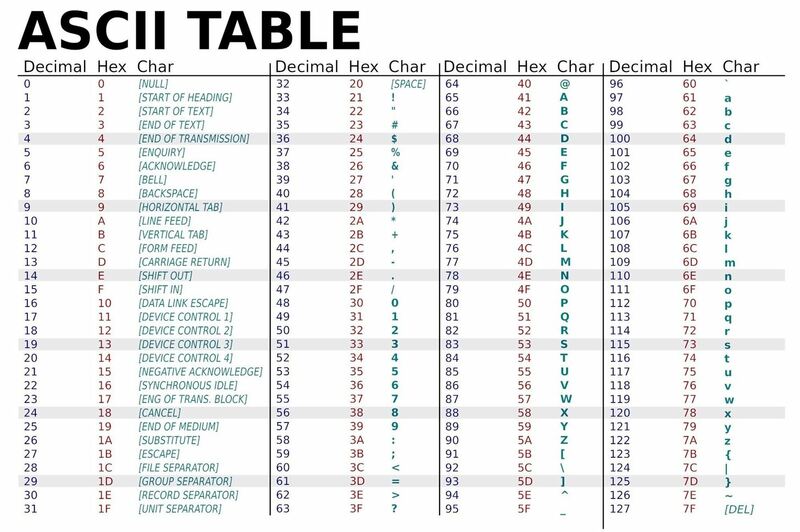 I will tell you just a tip: "USE ASCII table"
try to figure out the level 6 that's important and also hard for those who start it for the 1st time. kitten u can use any email provider that was only an example.